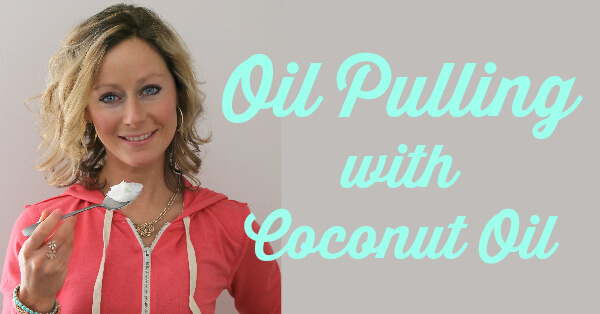 When I first heard about oil pulling, I was intrigued. I am a huge believer in doing what I can to lessen my toxic load and I have a heart that wants to teach anyone who will listen (that’s YOU! oh heyyy!) how to reduce the toxins in your life so that you can enjoy better health for yourself and for your family just like I’ve experienced. I love the fact that such a simple thing like swishing coconut oil in my mouth helps reduce the harmful bacteria in my body, keeps me healthier and effectively lessens my toxic load. At first, it was pretty tough swishing for a whole 20 minutes – it made my jaw really sore and I could only do it for a few minutes before I had to spit it out. But now 20 minutes is a piece of cake. The first day I oil pulled, I noticed my teeth were smoother and more shiny and my mouth seemed cleaner than usual. But other than that, I didn’t notice much else. As the days went on, I observed that the little bit of sinus pressure that was common for me to get was gone. Could it be the oil pulling? I soon learned that yes, it was! If you want to learn even more about oil pulling, THIS is the most comprehensive guide to oil pulling that I’ve found. There’s plenty of scientific research including medical studies and case histories. I was wondering about oil pulling with crowns and mercury fillings. Is there any reason why I should not do it every day because of these issues, that you have heard of. Hi Carrie! This is a super smart question. In my research, I’ve found that oil pulling with mercury fillings and crowns is very gentle, safe and can actually be very beneficial. Based on my research, if I personally had fillings or crowns, I would feel safe to still oil pull. I’ve also talked to a few people that oil pull with fillings and they’ve noticed nothing but positive benefits. I take the health of you and all my readers very seriously so I reached out to both a holistic dentist and doctor that I trust to get their perspective. I am expecting to hear back from them in the next day or two and I will update this post and reply back to your comment to share their answer. I extensively researched this question all last week and after discussing this with several dentists & holistic practitioners, I would feel safe to oil pull with amalgams. I’m going to write a whole blog post about everything I learned, but basically oil pulling is extremely gentle (although very effective). If you have mercury fillings, those fillings release mercury vapor 24/7. Eating, drinking, chewing gum, the acids in your salvia, going to the dentist when they are picking at your teeth and yes, oil pulling can cause mercury to release vapor but this is happening regardless, 24/7! On the interwebs some people say don’t oil pull with amalgams because it causes mercury to release. Yes, this is true, but that’s like saying don’t eat or don’t breathe because eating and breathing releases mercury vapors, too. But here’s where oil pulling can actually be really beneficial for those with mercury fillings and amalgams – Oral bacteria converts mercury vapor into methylmercury, a much more harmful form of mercury. Oil pulling greatly reduces the harmful bacteria in your mouth. Teeth represent only about 10% of the surface of your mouth and bacteria live throughout your whole mouth. When you stop brushing, bacteria left behind resettle on your teeth and gums. Oil pulling reaches 100% of the mouth, impacting all mouth bacteria. Oil pulling also greatly reduces stress on the immune system, allowing your body to handle the mercury better. I’ll be working up a blog post in the near future to get a lot more in depth about this and all my findings, including some nutrients to take if you have amalgam fillings so you can counter the effects of the mercury. But this is the super short version 🙂 I hope it helps all those wondering about the safety of oil pulling with mercury fillings! I would love to add a side note that you can have your amalgam fillings removed and replaced with the white fillings. I had 5 amalgam fillings removed 6 years ago due to chronic TMj pain. Not only did my TMJ disappear over night but I also stopped losing clumps of hair in the shower, and my eye lashes grew almost twice as long as what they were. That is so awesome, Bridy! Such encouraging news! Thanks for this comment, Bridy. I never thought about my amalgams being a possible cause of my hair loss in the shower. I feel like I’ve tried everything recommended for hair loss but no luck. I’m certainly going to talk to my dentist about this. It can’t hurt to try. Years ago, my dentist started replacing my amalgams with the white fillings, but had to stop because the white fillings just kept breaking off/falling out. For some reason, they don’t work with my teeth? Needless to say, when they broke or fell out, he switched back to the amalgams. That’s very interesting about the hair loss though – I lose it by the handful . I am so glad my dentist used the white fillings. I just wanted to drop a note that i am sick and tired of being sick and tired! Lol i love your blog and i am going to try this i have heard so much good things about coconuts this make since ill be back in touch in a week. Can’t wait to read about your experience, Ashley! Also I watched a doco years back about a kiwi Dr and dentist who were going around the world removing amalgam fillings from people who suffered acute chronic fatigue syndrome, to the point of non existence of any everyday normal living, one 15yr old girl had been literally bed ridden for near on two years two weeks after her removals she was up living a fully functioning everyday abundant joyful teenage life again, it was quite amazing, each one that they treated within 2days to two months had a 90 to 110% improvement I their quality of life and functionality of body mind and spirit. I highly recommend this to anyone with amalgam fillings it’s mercury get that out of your body as apps. this statement is true.I once suffered w TMJ and once I REMOVED metal fillings,and replaced them w white material,I started to feel better! I am a big fan of cold pressed coconut.I like to use it for dry skin,makeup remover,hair conditioner, and I eat it to aide in digestion. I have 2 crowns and I tend to get sore gums and infections around them. Oil pulling stops the infection almost immediately. The infection and soreness is gone usually by the end of the day. I SHOULD pull every day, but usually it’s when I get a gum twinge. I just want to thank you for reminder! I am surprised to read it from a native. This is not typical. I learned of oil pulling about 10 years ago when I had really strong tooth ache. My massage therapist recommended that I pull oil, it really helped! I used pure olive oil. Thank you for your comment, Inna! should I need to put the coconut oil on the fridge? I recently started oil pullling due to TMJ. I’m on my 2ND day & it seems to be working. I also an using other things for pain etc. I was reading the posts & see ppl talking about fillings. How do I know if my Illinois are mercury? Hi Tiffany, that’s great that it seems to be working so quickly for you! You’ll have to ask your dentist to find out if your fillings are mercury. What about oil pulling with adult braces? Would that be okay? I have bought great coconut oil from Sams Club. Have been using it to remove my face and eye makeup for quite a while but want to try oil pulling. Thanks for the info. Coconut oil makes the best makeup remover!!! I purchased mine from SAMS club too!! Good stuff!! Thanks for the info. Question- you list a lot of things for your morning routine (cod liver oil, liver pills, etc); so am I correct in understanding the oil pulling followed by the brushing and salt water all come before anything else? Also, we also used to get the Carrington Farms oil from our Costco, but they now sell their own (Kirkland) brand (still organic, unrefined, and cold-pressed), and it is much cheaper (for those looking at where to buy). If you buy online, the price including shipping ends up being about 35 cents per ounce, although you have to buy a lot at once. That is awesome Stephanie. I’m not sure how you last weight but I’m for sure going to try it now. I’ve done oil pulling in the past but just got out of the routine (unfortunately). I really want and need to start it back up agian. My question is, I’m 4 months pregnant and want to know if it’s still ok to oil pull while pregnant? In Dr. Bruce Fife’s book, Oil Pulling Therapy, he states that oil pulling is completely safe for pregnant and breastfeeding women. Dr. Fife is a naturopathic physician and a certified nutritionist. So im 6mo pregnant with metal fillings done almost 2decades ago (woah i know). So do you oil pull everyday? I really want to start soon. know that i learned regardless of oil pulling or not vapor mercury is still released. And do you make your own diy toothpaste or do you still recommend natural brand name toothpaste? I have oil pulled off and on for about a year and love it! Noticibly whiter, smoother teeth and I even had a small cavity (they decided not to fill since I was pregnant at the time) and when I went back 6 months later to get it filled it wasn’t there. We couldn’t believe it. My dr thinks she messed up on her records, but I know better! I did have one question for you. I always spit it down the sink and I noticed you said the trash. Why is this? What about spitting in the toilet? I spit it into the compost bucket in my kitchen. It gets dumped frequently and since it’s a plant oil, it composts beautifully when mixed with the carrot peelings and egg shells, etc. Oh don’t spit down the toilet. I did and the coconut oil hardens up on impact in the water because the toilet water is so cold especially during winter months and you will end up having to use a plunger because the coconut oil accumulates on the pipes! This happened about four months after I started oil pulling! We had to shut off of water, drain the tank and pour boiling water down the toilet. We kind of went overboard and poured a gallon at a time several times. So don’t spit it into your toilet! I personally use the “Portions” plastic bags, twisted it up good and tie it off and throw it in the trash. Another alternative for disposing of it, is to use a clean tin can or a jar. I use a tin can that I keep under the sink. In my cool climate, the coconut oil forms a hard layer on top. When it is full I just throw it away. I tried it this morning and was able to make it the full 20 minutes but did have to fight the urge to swallow. And yes, my teeth did feel cleaner after the first time (hurray) so I can’t wait to see the long term benefits. Here are a couple of questions that I have: Have you every used essential oils when doing this? Do you just put in the two teaspoons (amount I used today) of the solid coconut oil and let it melt in your mouth? That is what I did and the first minute or so were very interesting to say the least. Thanks again for the information, it was very helpful and I look forward to reading more. I do not use any essential oils when I oil pull. I personally don’t think it’s necessary unless you have active gum disease or tooth decay or you are dealing with a serious health condition. I’m pretty conservative with my essential oil use – in general, I treat essential oils as medicine. If I had the beginnings of a cold or a flu or a serious dental issue, that’s when I would consider putting one drop of germ fighter essential oil or clove oil in my coconut oil while I oil pulled. But I wouldn’t and don’t do it daily if not. I have active gum disease and my periodontist wants to do bone graphs and gum surgery. Is there an essential oil i can add that might improve the health of my teeth and gums? Hi Ana, many holistic dentists recommend clove essential oil to help with gum disease. Adding 1-2 drops to your daily coconut oil should be a big benefit to your healing! The thought of relieving sinus & allergies has me sold, but i currently wear braces. Will oil pulling leave spots on my teeth where the braces are? It can’t whiten beneath the cement & brackets. That’s a good question, Donna and I’m not sure of the answer. I’d love to hear any readers that have or have had experience with this. I had braces years ago and, while I knew nothing of oil pulling at the time, I can tell you that your teeth are going to show the spots that have been sealed (covered by the brackets) regardless when you get the braces removed. If anything, the whitening effects of oil pulling will minimize the appearance of staining on your exposed teeth compared to what was previously sealed with the glue for the braces. Either way, the dentist will be able to polish out any discolorations as soon as the braces are removed. I wore braces for 3.5 yrs and when I got them off, I did not have any discoloration from the brackets or cement. My teeth were all one color. I have been having terrible allergies/ sinus infections for weeks. I oil pulled for the first time ever and my Nose isn’t running nearly as much and I feel better than I have in weeks. I really recommend this! Also try bee pollen as a natural allergy pill. 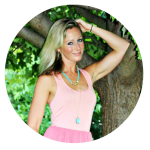 I love all of your blog posts as they are so helpful to all of us who aspire to be more Primal/Paleo. I searched your site but have not found any reference to your specific hair care routine. I have tried so many natural methods, both expensive and close to free, but all result in terrible hair. My hair is similarly curly to yours but breaks and is frizzy. I live in a very humid climate and straightening it is definitely not an option. I am also getting so much gray hair in my late 30’s although the rest of me doesn’t look or feel my age. I have resorted to ponytails but that just ends up causing damage. I haven’t colored it for many years and use natural (sulfate free at least) baby shampoo on my roots only, about 2 times per week. I then put some coconut oil at the ends. It looks horrible but at least I don’t feel like I am poisoning myself! I am a no-pooer (I really dislike that term, by the way), but in the almost 2 years of no-pooing (aaahhhhh, really, really dislike that term lol), I’ve learned a lot of things that help me and I’m finally at a place where I’m really happy with my condition of my hair. It took a lot of experimenting and a lot of bad hair days to get to this point, though. Ooh, that is so exciting! I am so looking forward to reading the process you and your hair went through during the transition to “no-poo” (I agree that term is horrible-I am sure we can think of a better one!). What was your husband’s reaction throughout this process? It is so helpful to read trusted people’s experiences with issues such as these. Thank you!! I would also like to share some of my uses for coconut and other oils which may help our fellow community. -I use a mixture of coconut oil and peppermint oil on my feet and then place thick socks over them at night. I also use it on elbows and knees. -My climate is humid but stays around 55-65 degrees most of the time. Using coconut oil on my face is too rich, unless I am visiting a hot, cold, or dry area. I use avocado oil to oil cleanse and remove makeup. I also use raw honey and lemon mixed with the oil sometimes. That mixture is great as a hand renewer as well, followed by either more avocado oil or coconut oil. Since starting this routine, my hands look so much younger! -On a side note, I bring a small container of avocado oil to work for use on salad. I also use it on my hands at the same time. You can imagine the looks I received from co-workers the first few times of doing this! However, they were very interested after observing the improvement in my skin’s texture and appearance as well as my 12 pound weight loss after my first successful 30 days of going completely Paleo! I have hair like yours, plus mine gets very greasy. I have to “wash” my hair daily. I wash with conditioner. I have been doing this since the first time I tried Wen. The same reults achieved with any other conditioner. I’ve been using pantene for a couple of years now, prior to that I was using Giovonni’s. 3 pumps for the scalp, 1 pump for the ends (for my fine thin mane). I also used to use an herbal concoction in my early 20’s that I may reinstate. I used it when I got off my motorcycle to get the snarls out – stinging nettle, chamomile, rosemary (I think thats it)steeped as a tea. I would apply it with a washcloth (to keep from wasting any by pouring)my hair would feel incredible, clean, shinny… and if I remember corretly, it did change the color a little over time (reddish – from the rosemary I think). I also used a spray bottle to apply sometimes. Good morning and thank you for such interesting information! I have never heard such a thing as oil-pulling, but surely liked all it’s benefits you have listed, so I am giving it a go. The coconut oil I purchased is virgin, not extra virgin….will that make a huge difference? Also, how on earth do you resist that urge to swallow for 20 minutes?? I did all I could to “block” anything but did swallow a few times ever so carefully. Is there a tip you might share with me regarding this? I thank you again! P.S. Am fairly new to this site, am almost 55 y.o. and am looking for ways to condition/care for my skin…could you please forward to me any blogs that may address this? Thank you! Your virgin coconut oil is perfect! There’s actually not a difference between virgin and extra-virgin coconut oil. It’s just a marketing term that companies use – some companies call it virgin and some call it extra-virgin, but there’s no difference! Crazy, right? It is so hard to not swallow when you first start oil pulling – I know exactly what you mean! I would suggest starting with a smaller amount and spit it out when it gets too difficult. And then start again with a smaller amount and spit out, restart again until you reach 15 minutes total. The only tip I can think of to recommend is to tilt your head slightly forward so the coconut oil doesn’t get too far back into your throat. And I LOVE talking about skincare!! I have a lot of tips and natural skincare recipes on this site, but I can also point you to one of my favorite natural skincare blogs. I hope that gives you some info to get you started! Let me know if I can give you anymore info that would help! Thank you very, very much! I have recently lost a bit of weight and am looking to lose yet another 60ish pounds in the next year or so…nice and (not so) easy-does-it, so at my age and all that weight, it’s going to take a toll on my skin. Really do appreciate the help in this! OMG, I am going to start tomorrow! I can’t wait to not have to talk to anyone for 20 minutes in the morning!!! the picture shows you use oil in the solid state, do you melt it first so you can swish it around? That has me confused!! Thank you! Hiya! How important is the salt water step? I’m trying this each morning as I get brekky ready as you suggested, but I haven’t been able to bring myself to brush my teeth and THEN swish with salt water because I find it so yucky and I like the post-teeth-brushing taste 🙂 Can you comment on how important that step is? Hey Laura! I don’t think it’s super important and I sometimes skip this step, too, especially if I’m running out of time. The salt water just makes triple sure that any lingering bacteria is dead. I have been trying years to get my mom, who has advanced gingavitis to do this. I like coconut oil better than sesame. Thanks for your story, you look beautiful and healthy. Thank you, Michelle! Oh, this would be so great for your mom! I hope she gets inspired to try it soon! This might sound like a really silly question but does the coconut oil have a coconut taste to it? I would love to try this but dont like the taste of coconuts! I had to share my amazing results with oil pulling. I am 53 years old and started oil pulling about 18 monthes ago. I had read an article at that time about the improvements in hormone imbalances during menopause. I was struggling with night aweats and hot flashes and felt it was worth a try. I can happily testify that within about 6 weeks I saw major improvement including complete stopping of periods.and now am completely free of any hot flashes or night sweats. it was truly life changing for me and I rarely miss a day as it is part of my morning ritual. I also have seen improvements with dry mouth, and my skin is much healthier. I am a firm believer in this and it got me thru a very hard time in my life and am completely free of any hormonal symptoms. Krista, that is amazing and makes me so happy to hear!! I am a huge believer in the more you can lessen your toxic load, the more your hormone issues (and many other problematic issues) will heal. Oil pulling is so wonderful for pulling toxins so your hormone balancing from oil pulling makes so much sense to me. Thank you for sharing your story and experience! Love it! Oh WOW Krista, that is truly amazing. You have convinced me that I really need to do this. I am 62, and I have horrendous episodes of sweating (people actually ask if I am ok, and I tell them that my body believes that I am constantly in a rainforest). It is so depressing; I cannot wear any of my jewellery, fortunately I never wear makeup, and I have to carry a couple of hand towels with me, if I leave my house, and my clothing is always wet ….. and I am absolutely fed up with it. I am so thankful to you, for posting what you were experiencing, and how it helped you. I had never heard of this until I started searching for a way to help clear a sinus infection. I had been trying apple cider vinegar, nasal rinses, and tomato juice but nothing was helping. I saw this post and tried it. After a 15 minute first attempt I only had a half hour wait to feel results. The pain in my face was gone! I was so releived because I have to go in a couple of days for a Hydro ThermAblation. I have been on hormone replacement therapy for a year and a half and have started bleeding more as time went on. I have great hopes that the oil pulling will not only help my chronic sinus conditions but maybe with some of the other age related issues too after reading the post from Krista above! Thank you for posting this! I’m excited to hear this, Pam! Many continued healing blessings to you! I have been oil pulling for 6 days and I’ve noticed that my skin feels softer, I have more energy, think more clearly and my teeth feel smoother. I also noticed that my skin has slightly broken out due to the detoxification from oil pulling. Someone told me to be careful when using coconut oil regularly because the oil could damage tooth enamel. I was confused from that statement since everything I’ve read about using coconut oil says that it improves oral health and strengthens your teeth. Have you heard anything about using coconut oil too much where it could damage tooth enamel? Hi Christine! So cool! I have not heard anything like that – but rather, just the opposite – that it’s extremely beneficial for it. I’m not sure where that person got that info. I’m not saying they are wrong, just that I’ve only read and heard the opposite. I’m always open to learning more so if they have any further info about that, I’d love to look into it! My husband and I are curious if testing has been done on the oil after it has been swished in the mouth. IE, what is in it? Hi Cindy, I recall reading about testing being done to the swished oil, but I can’t find anything at the moment. Now you have me curious about it! 🙂 I’m going to search a little more to see what I can find (I have a good reference book about oil pulling and a ton of scientific studies at home that I will check). In the meantime, if anyone out there knows about any testing being done, I would love to read about it! I’ve been oil pulling for the past 20 days and have noticed vast improvements in my gums and teeth.. I had decided to stop after 10 days and continue to oil pull twice a week but I think I’ll keep doing it daily dince reading your article. I’m also encouraging my husband who recently had his teeth whitened. My teeth are visibly whiter. Thanks for sharing, Alison! It’s so cool how it whitens teeth! I bought my organic jar of coconut oil at Aldi for $3.99. I think it was a 16 oz. jar. I that was a price for organic coconut oil. I just happened to come across it. I had looked for it at other grocery stores and hadn’t found it yet. I was at Aldi and right there it was. They are beginning to sale more and more organic foods. Wow, that is such a great price! Thanks for letting us know, Debby! I have started oil pulling about a week ago. Not everyday but I am trying! I do have one question. I am also doing cinnamon honey water, and it says to do that on an empty stomach also. Should I still be doing the oil pulling first and then the cinnamon honey water. Hi Chendra! I think I would do oil pulling first and then the cinnamon honey water. You’ll still have an empty stomach after oil pulling so you’ll still be good to go with the cinnamon honey water! When I first heard about oil pulling, I read to use100% Pure Sesame Oil. I was curious of your thoughts on using sesame oil -vs- Coconut Oil? Hi Chrissy! Yes, sesame oil is great to use, too! Either one is awesome. Personally, I just chose not to use sesame oil because of the taste. This is so interesting! I was just discussing oil pulling with my mom, we both want to try it. I am always looking for ways to get healthier! 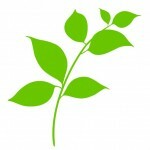 I recently started my own blog over at thestepfordhomesteader.wordpress.com and post some fun recipes and DIY things. I will have to post a blog when I start oil pulling to give my results! I am really intrigued by oil pulling and will definitely be trying it. All the benefits make me want to suggest this to my mom. She is a senior and does not have any of her own teeth (wears dentures). How does this apply to such people? Would love to hear your feedback. Hi Anna! This would be great for you and your mom! For your mom, she should do it with the dentures out of her mouth. All the same benefits will apply to her, with the exception of whiter teeth 🙂 Keep me posted if you both try it! I’ve been oil pulling for 3 days now and I’ve already seen a huge improvement with plaque. I’ve got a permanent retainer that always has plaque around it no matter how much I floss. I flossed tonight and plaque came off with the floss! My next dental cleaning in a few weeks should be easy for the hygienist. I oil pull for 20 minutes every morning and my teeth are TOTALLY WHITE now. I could barely get 1/4 of a tsp of oil in my mouth before gagging. I did swish for over 10 minutes though. Were you able to get the 2-3 tsps in the first try? I really want to give this a go, but I don’t know if I can handle that much oil in my mouth. I had been a sporadic oil puller for about six months. During this time, I noticed A cyst on my gums (like a small pimple) that seemed to flareup within 24 hours of oil pulling. Come to find out, the dentist said that I had a dead root in my eyetooth. The cyst was the result of the infected root. It was the release point of the infection. The x-ray showed a very small area in the tooth where the issue was. He now wants me to get a root canal. I have read up on some issues with root canal’s.t They can accumulate toxins that cannot be expelled because there is no vascular system in the tooth to do it. These toxins can build up, and lead to cancer, and heart conditions among other health issues. So I wonder, would oil pulling be enough to keep this issue at bay? Should I do the root canal and continue oil pulling? I don’t know how to research a link between the two. Can you help me find some information on the subject? Dr. Bruce Fife sheds a lot more detail on this in his book, Oil Pulling Therapy, too. You may find it helpful! I would seek out a biological (holistic) dentist if I was in your position. Take care, Amy! Thanks, Andy! Glad to hear the positive results! Today was my first time oil pulling. The 20min went by so fast because I was distracted my the internet. Love the effects already, my mouth has never felt so clean and my teeth so smooth! I’m definitely committed! I just started oil pulling out of pure curiosity. Does anyone out there have periodontal issues? If so, had oil pulling helped decrease those periodontal pockets? I’ve had many root canals and as a result, now have periodontal disease due to the accumulated bacteria from dead roots. I was hoping that oil pulling would help! I was just wondering if instead of rinsing with the salt water, can I just use normal mouthwash? I have a question regarding consistency of coconut oil. I live in Florida and my coconut oil seems to stay in it’s liquid state vs the creamy state shown in your pictures. Does it matter? I actually prefer it when it’s liquid, Seanna! You’re good to go! Very informative article. I have spent a lot of time in India and have been oil pulling for 2 years now. I have a question for you, why coconut oil? In Ayurveda sesame seed oil is traditionally used (Organic & untoasted). This is important as each oil has different properties recommended for each ‘dosha’. For example Coconut oil is cooling and sesame oil is warming. I am aware that any oil will essentially ‘pull’. Just curious as to your thoughts on this. This is a great question, Grace and gives me a lot to think about. I personally choose coconut oil because I can tolerate the taste a lot better than sesame oil. But I am very interested in learning more about Ayurveda. I just know basics about it, but not much else. I have a few books on my “to read” pile about Ayurveda because it makes so much sense to me in many ways. I am eager to learn more! Is the Indian heating-cooling aspect the same as Chinese heating-cooling? My mother-in-law recommended only ‘heaty’ foods, eg, cooked with ginger and wine, after giving birth so I’m guessing coconut oil-pulling until birthing, sesame oil-pulling, for at least a month, after. Anybody else? What does it taste like, and does it have to be done with coconut oil? I think coconut oil is a very pleasant tasting oil, but taste is very subjective. It has a slight hint of coconut. Any oil will pull so you could use olive oil, sesame oil, avocado oil, etc. Thanks for the great article and your responses to all the commenters, Kelly. I’m impressed by the amount of research you site! I’ve never tried oil pulling before and appreciate your detailed description of the benefits. I’m going to start tomorrow! Thank you for such a sweet and thoughtful comment, Ella! Would it help if you already have gum disease? Hi Eli, Yes, many people with gum disease have experienced positive results from it! Hi, Kelly! Thank you for the wonderful tips in oil pulling. I have a few questions. Should oil pulling be done only once a day? If you do it in the morning only, how do you clean your teeth after the three meals of each day? Can you give me an overview of your daily teeth cleaning routine? Thanks in advance. Hi Carole! Most people just do it once a day. But some people do it in the morning and before bed if they are dealing with any dental issues. I just oil pull once a day, first thing in the morning. For me personally, I brush my teeth in the morning after oil pulling or after breakfast and then right before bed. I also floss before brushing in the evening. Hello! This health benefit is new to me! Can I use parachute coconut oil? Hi Mina! I had never heard of parachute coconut oil, so I looked it up and it looks good! is it better to do this in the morning rather than at night before bed ? Hi Michele! Our mouth has the most bacteria first thing in the morning, so many practitioners say the first thing in the morning is the optimal time to oil pull, but anytime you can fit in your schedule to oil pull is very beneficial! I wanted to quickly mention, I didn’t see it anywhere in the article or comments. Its important to discard(spit) the oil once you are finished in to the trash and not the sink. The coconut oil can eventually clog your drains. Love oil pulling! Way to go, Kelly! Thank you so much for introducing me to coconut oil pulling and for all of your generous, heart-warming responses to everyone here (I read all of them). I’m excited to be starting today. Thanks also for introducing me to Jenny Raincloud and Dusty Girls products. I had been searching for a good-ingredient, chemical free foundation for ages. And I’m grateful beyond words to have also found it. Best of continued success in all you do! I just started oil pulling after reading your article. 🙂 You mentioned about after 20 minutes that one should rinse their mouth with salt water. Why? It is for the greater good to use salt/warm water as a mouthwash solution? The salt just helps gets rid of any extra bacteria that may be lingering, but it’s definitely not a necessary step. These past few months, I’ve been fairly rushed in the morning and haven’t done the salt part at all even though I never miss an oil pulling day (I just love the way oil pulling makes me feel!). I found your article on pinterest even if I wasn’t looking for anything to do with coconut oil. I had never heard about this, but after reading your story I decided to try out oil pulling! So I did this morning… For 2 minutes because I wasn’t able to keep oil on my mouth… What can I do? Cool, Elza! 2 minutes is great to start out with! The more you do it, the easier it becomes. Thanks for leaving a comment and I hope you start to see some great benefits soon! Hi Kelly! i have to share my experience with oil pulling. after each one of my pregnancies i had a cavity. by the third one i decided to research ” healing” a cavity. i had pain in one of my teeth and started oil pulling. within two days the pain was gone! i continued to do it for about a week and it has not hurt since. i saved time and lots of money healing my cavity. Natty!! Hey! What a fun surprise to see your name pop up here 🙂 That is so cool! I hope you and your family are doing well! I have oil pulled for several years now. I started it because my father died of a heart attack very suddenly at age 67. Since then I have been looking at how and why that might have happened. Through my research, I discovered that people who have heart disease also have gum disease. Interesting…so I started to floss my teeth faithfully everyday sometimes more than once. After years of taking better care of my teeth, my gums were better but I still had some trouble spots that my hygienist talked about every time I went in for my checkup. Four years or more ago, when I was looking for a solution for allergy symptoms….with no known allergies after allergy testing, I came across oil pulling, and decided to give it a try. At first, I noticed that while I was oil pulling…I felt a “drawing in” sensation…as if my gums were being pulled in around my teeth. The oil pulling was never unpleasant…sometimes I felt odd and self conscious but have decided I love my 20 or more minutes of silence in the morning. I went to see the dentist a few months after starting and my hygienist seem to notice a difference right away. I confessed that I was Oil pulling…she seemed mildly interested but I think she thought I was a bit nutty. After 6 months, I no longer felt the drawing sensation, but my teeth felt clean and I just decided that I was going to give it at least a year. If it helped my gums…I thought, it would help my heart too. So at my next visit to the Hygienist, she point blank looked my in the eyes and said, “what are you doing?” and I told her…Oh she said, “you are still doing that? Well maybe there is something too it. Your gums have gotten so much better” She told the dentist what I was doing and he scoffed…joked around a bit and that was that… I did not care because she proved to me that it was getting better..
Each visit to the dentist since then the hygienist has remarked that my gums keep looking better and better and even the dentist is interested in what I am doing. I can not remember when I started for sure…four or five years ago. I have moved to a different state and last year went to a new dentist. My new hygienist took one look in my mouth and said, ” Your gums look so healthy for a 60 year old, what are you doing?” I confessed, and she was stunned. She asked me all about it. I used to have deep pockets in my gums around my molars and the hygienist tells me they are gone. I have read a lot about it and it all makes perfect sense to me. You start your day out with a nearly 100 % clean mouth. I expect that I will oil pull the rest of my life. I often talk to people about it. I am used to the odd looks that I receive. Some people are interest and some people think I am nuts but I do not care because for me the difference is remarkable and I am healthier for it and I owe it to the rest of the world to share my story. Jan, I love your story so much! Thank you for taking time to share it so you can help others! Oil pulling is wonderful!!! Is there any reason this can’t be just as effective when done before bedtime? It seems like such a waste to do this before I have my breakfast. Hi Nikko, before bedtime is great! Anytime you can oil pull will be very beneficial. Hi! I’ve had lots of health problems including Ulcerative Colitis (a digestive disease), had my colon removed, arthritis, anxiety, and depression. I’ve also dealt with weight issues. I read that coconut oil was good for your health and weightloss. I currently add a Tbsp of coconut oil to a glass of warm tea daily. My question is can I do the oil pulling and still have the tea with coconut oil daily? Is there such thing as too much coconut oil in your diet? Hi Elizabeth! That’s great about you adding a tablespoon to your tea! 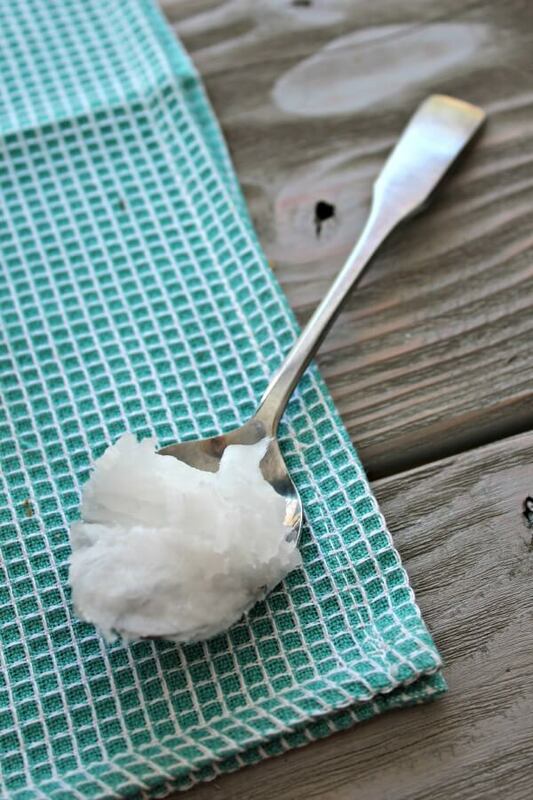 Since we aren’t digesting the coconut oil for oil pulling, it’s fine (and really good!) to do both. They both serve different purposes – the oil pulling coconut oil with help cleanse your teeth and toxins while the digested coconut oil will serve many other health benefits inside the body. We have tried oil pulling for the first time this morning all thanks to your inspiration! A bit of a dodgy first 20 seconds while it melted but then I found it so calming, it wasn’t greasy at all like I was expecting. My husband has an auto immune disease in his eyes called Uveitis. After 5 years of no improvement we are wondering if oil pulling may help! I suffer from sinus problems and so can’t wait to feel the benefit. Michelle, that’s so awesome! I am hoping you all experience some great health benefits from this 🙂 Thank you for leaving me a comment!! Hi there, thank you very much for all your info and insight…. Im excited to try oil pulling myself… Quick question… With regards to the rinsing with salt water… Is this a necessary task after the oil pulling? And if so, could i use a mouth wash instead of salt water? Thanks again take care, and all the best!! Hello! No the salt water isn’t a necessary task and one that I often forgo. You can use mouthwash instead, too! It was after reading your article that I decided to start oil pulling , I can not vouch for all the claims of oil pulling , but one thing that I do not suffer from any longer is yeast infections , I got one every month sometimes twice a month, but every since I’ve been pulling I have not had one!! oil pulling has changed my life I have been pulling for 6 months now, Thank you ! That is SO awesome, Erica! Coconut oil is known to be very effective at killing off yeasts. And even though you are the first I’ve heard of oil pulling helping yeast infections, it makes a lot of sense to me – and shows that it really does help cleanse the whole body! That is awesome! Thank you so much for the comment! The only way I could do this is if I do it in the shower. I jump in the shower immediately upon getting up. Do you think this would be a problem and can I spit it down the drain? We live in the country and have a well and septic. I have always been afraid to spit oil down the drain because of this. Would you mind sharing if you have city water or a septic tank? We live in the boonies and have a well and septic tank like you, Deb! I save used, empty water bottles and spit it in there. I keep it under my sink and once it’s full, I pitch it. We had a problem with our drain which we attributed to coconut oil so I went this route. It keeps the drains clear and the bottle under my sink is discreet. That is such a great idea! Thank you for sharing, Ciganka! I’m 15 and I currently have braces but when I get them off I would like to try this but do you brush your teeth after you oil pull or not at all and I read on Ada.org that there is no science behind it and that I shouldn’t do oil pulling? I’ve been oil pulling for about 2 years now and can attest that it has saved at least one molar that was destined to be pulled. Even with some of the gum gone, the tooth is solidly in place and my dentist is amazed. I have 3 implants and various mercury fillings and I’ve not experienced any problems. I had deep pockets around all my teeth and they’ve all disappeared. One thing I would add to all people interested in taking their health into their own hands. Research Oil of Oregano – it has stopped all of my problems with sinuses, allergies, asthma, colds and flu. Haven’t needed any medication for years. You could add a drop to the oil when you feel a cold coming on. One other tip – many people find Oil of Oregano unpleasant to take orally – it’s quite harsh – but you can get equal effect by putting it on the soles of your feet before bed, apparently. 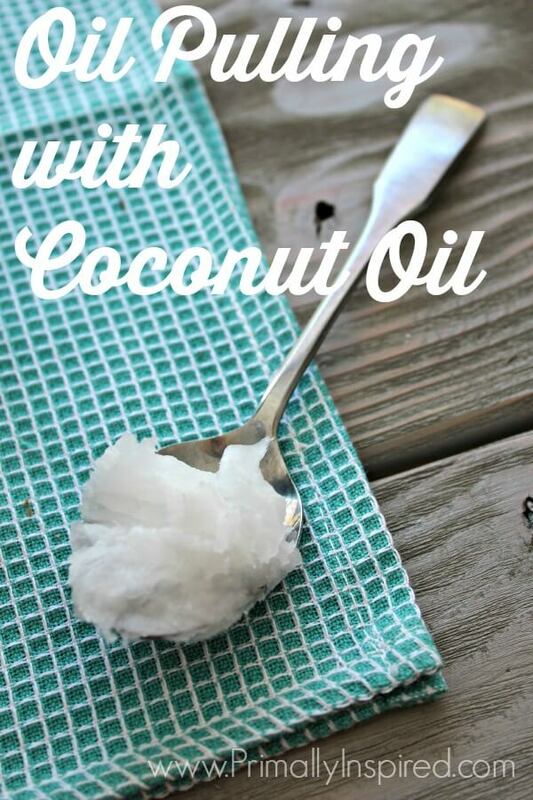 I melt the oil (quick nuke) since I tend to chew and swallow solid coconut oil – yum! 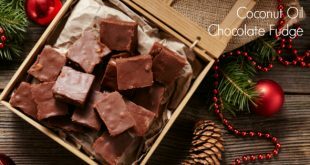 And – I use coconut oil to clean my teeth….recipes are available on line, but I mix oil with baking soda, peppermint oil and some erythritol or xylitol. Thank you so much, Linda! I love your story and I appreciate all your tips! I totally agree on the oil of oregano – we’ve not had to use conventional medicine for years and that’s one thing we use when we feel any hint of sickness coming on, too. Take care and thank you again! I have been pulling now for a couple of years. I love it. I pull it while in the shower. I always do it at night. Thanks for telling me that it works better in the morning. I also use it for cooking and mix it with baking soda for a wonderful facial scrub. Love those tips, Susan! Thank you! Hi! My teeth are so horrible I want to try oil pulling! One this though… I HATE coconut): does the oil taste a lot like coconut?? Thank you! Hi Courtney! It does taste like coconut so using unrefined coconut oil may not work for you. I would suggest finding refined coconut oil. It’s tasteless and odorless and would be a good option for you to try! Good luck! I loved reading your comment, Wayne! Thank you for taking the time to post your thoughts 🙂 Merry Christmas and many blessings to you! Tried it today! Not bad. I actually went the whole 20 minutes. I have been wanting to try it for a while now and reading your post gave me the push I needed, so I’m definitely going to stick with and I look forward to sharing the results! So awesome! And wow, I’m impressed – you should get an award for making it the whole 20 minutes the first try! I don’t know anyone else who has been able to do that!! Just tried it and went the whole 20 minutes! My dental hygenist had actually recommended this to me a few months ago but I forgot about it. I’ve had bronchitis the past week and lingering sinus drip and strained my back pushing ice off the porch so looking for natural remedies to go back to school tomorrow! I’m going to try this everyday! I eat coconut oil every morning with my honey, seeds, oats and apple (and yeah …coffee). I’m about to turn 60 and do more and more natural food every day but can’t seem to quit the morning caffeine. Thanks so much for your kind responses and encouragement for doing whatever we can to be healthier! Feel better soon, Diane! Thank you for such a supportive comment! I have oil pulled on and off for several years. Due to laziness I didn’t do it for quite a while – just out of the habit. Then a crown broke, which freaked me out and sent me running for the oil again. As soon as I started OPing, suddenly pretty much all my teeth became super sensitive. I gave it a few days but just had to stop as my teeth were so painful I had to take painkillers to be able to sleep. I also had to switch to Sensodyne which I dislike using. I cant fathom why OP’ing has suddenly caused this intense sensitivity. I’m really apprehensive to try again. I do normally use sesame oil, but perhaps I will try again but this time with coconut oil. Hi! I just started this process this morning. It felt funny and took a couple of minutes to get past, but in the end was easy! I set a timer for 15 minutes just as a goal and was able to get myself all the way to 20 minutes! My biggest issue is there is no way I can do 3 teaspoons!! After all the rinsing 2 teaspoons mixed with all the saliva was a bit much! I also have TMJ, so I will make note to keep a warm compress on the jaw joint while doing. So excited to keep going!! Thank you for the insight into the process! Awesome, Alice! And that’s no problem if 3 teaspoons is too much – just adjust that to what works for you! Hi, was just wondering. I go to the gym first thing in the morning. Will it still be okay to do when i come back from the gym. Soi will brush my teeth and have water before. I haven’t read all the comments, so I don’t know if this came up already, but a wonderful side benefit that comes from daily oil pulling, is that the muscles under your chin can tighten up! And to demonstrate how fast healing can work I recently cleared up a toothache with just two ten minute sessions. Thanks for inspiring me to keep going, I always randomly stop practicing until I have an issue. Oh I didn’t even think about all the benefits of tightening the facial muscles, Valerie! That’s great! I had never heard of this prior to seeing it on pinterest. I thought I’d give it a try because I was having some pain in my upper molar. Out of no where, the pain started and within a few days, I knew I had to get to the dentist to see wether or not it was a cavity or a tooth that may need a root canal. I decided to try this out with coconut oil that I had allready purchased. I was a smoker for years and had stained from smoking located on the back bottom teeth as well as the front upper teeth. After doing this for 20 minutes, nearly 95 percent of the nicotine tar was all removed and my teeth were whiter. The pain diminished a bit, but I was still hurting. I thought I’d try again the following day and the third day. The pain was completely gone. I’m a believer. Also, do not spit this in your plumbing as oil can clog over time with cold water. I just used a empty water bottle to spit it out in. What I noticed is a very strange color in the water bottle after doing this. Good luck everyone, great benefits! Super cool, S!!! Thanks so much for sharing! Hi Danelle! The hot water with lemon and cayenne pepper is such a great daily habit that you are doing! It’s a great way to strengthen digestion so I would keep with it. I do my lemon water after I oil pull. I make my own body scrub and shaving cream. Sugar, cinnamon ,vanilla extract, sea salt and a little olive oil. Ok if I don’t have the vanilla extract I put a tsp of rubbing alcohol with sea salt. The reason why and not to freak every one out is, we have bacteria on our bodies, so while washing any transfers from body to jar can be either killed or retard the bacteria growth. My shaving cream plus cream is just the coconut oil cinnamon baking soda salt and some times olive oil. Both oils are very good for the skin nails and hair. Coconut oil absorbs very fast in to the skin so you don’t feel greasy. It’s awesome for shaving to. Less razor burn. I also in the winter olive oil and or coconut oil at night with soft gloves while I sleep. Makes for very soft skin and cuticles. Nothing like having healthy nails. And a reminder ladies and gents. Always morsturise after your shower and very time you wash your hands. Less skin breaks abrasions and helps to protect from Mrs and other pimples and most staph infections. Your welcome. I’m an at home mom now and grams also. I love to hear your how old.lol we all love compliments. I’m only 44 y o. My kids get a kick out of it to. I don’t have a blog up. Bennett thinking about it though. I do have a fb. Lol but who doesnt. I have tried oil pulling twice and felt it would be very beneficial and wanted to continue, but I had an experience that I’m not sure about. The first time I tried oil pulling I was post-menopausal. But after a couple of weeks of pulling, I started menstruating. I immediately stopped pullling and the period stopped. After a year I started oil pulling again, and again after a week or so, I began bleeding as if I had a light period. So I stopped oil pulling again and the bleeding stopped. Have you ever heard of this before? I want to try again, and I just don’t know how long I will want to put up with a period when I have been post-menopause for about three years. Very interesting, Mak! I am extremely curious about this and am looking into it. hahaha, thanks, Beyana! I love getting comments!! I use liquid coconut oil because I blend a lot of essential oils. I currently don’t have any solid coconut oil. …… can I use the liquid and have it work just as well? I just checked out your blog n read almost every comment. It got me so inspired, I can’t wait to get started tomorrow morning! The thing is, I’m 46yrs old and I’m a smoker. …will that make Oplng usless? If not should I smoke my morning cigarette b4 or after? Hi Tina! I’m so excited for you to start! That’s a great question. I do know that anytime you can oil pull would be beneficial and smoking would definitely not make it useless. Based on everything I’ve read and researched, I would think it would be best after smoking. Good luck with this – hope you experience a lot of great benefits! Keep me posted if you do! I recently bought unrefined organic extra virgin coconut oil & I can’t wait to try “pulling”! I was curious if you have ever heard of “The Healthiest Shot You’ll Ever Take”…using Apple Cider Vinegar, Lemon juice, Collagen, filtered water & raw honey? I seen it on Pinterest…Or just taking the Apple Cider Vinegar everyday for health benefits? Thank you!!! Hello! My question is so basic it’s almost silly. But how do you hold this oil in your mouth for so long without swallowing? I’m interested in trying this but I can’t figure out how to get around the need to swallow every once in a while. Hi Lorie! It’s not a silly question at all! I think it just takes a little practice. My first time was really awkward 🙂 When I need to swallow, I bring the oil to the very front of my mouth, in front of my teeth and then clench my teeth down and then swallow. You can practice with water in your mouth! Why gargle with salt water after? And can you get the same benefits if you skip this step? I cant stand salt! Yes, you definitely can skip that step! I skip that step more often than I do it! It’s just one extra step to kill any lingering bacteria. I want you to know you have made me start oil pulling again.to share a lil bit of information. I started O.P.with sunflower oil.it was expressed that the more cloudy the oil when it is spit out the better the result of the O.P..me and my wife tried it . When she spit it out it looked just like oil but mine looked like milk.i may not know what was in the oil pulled but there was a huge difference between our spit. In my opinion I would not brush with a fluoridated toothpaste because fluoride is toxic. Today I am restarting a change in my life and it started with OIL PULLING. What does it mean my comment is awaiting moderation? Hi Darren! I have a very sensitive spam blocker that blocks spammers. If there’s anything in the comment, web address or email address, etc that could potentially be spam, it will hold the comment for another round of approval (it’s very sensitive so most of the time the held comments are fine, but I’d rather it be sensitive than to let spam through!). First time commenters always get held for moderation, too. So after I oil pull in the mornings do I have to brush my teeth right away and rinse with salt water? Or after oil pulling in the morning can I have my tea and breakfast right after I spit it out then go along with brushing teeth after I’ve eaten? Hi Nunu, no you don’t have to brush right away! I eat my breakfast and then brush. Hi kelly my coconut oil says pure 100% coconut oil. Will this work too? Or do I have to purchase one that is virgin? I really want to give this a try. Thanks. Thanks for your reply. I will start now. Hi Chola! I do it everyday and I find that doing it somewhat consistently (at least 2-3 times a week) produces the best results. The trader joes coconut oil is perfect! You can use any toothpaste you like. Hi! I had my thyroid removed 10 years ago and since than I have to take my medication first thing in the morning, 30 minutes before breakfast.So, when should I O.P. : before or after my medication? I'm also very interested in learning more about the Primal/Paleo lifestyle. What a nice comment, Cricket! Thank you for the encouragement! Many blessings and healing to you! I was super skeptical but decided to try it for awhile. At first I did not notice anything. Then after a month I started to have little lumps along the side of my face near my ear. I am 40 and I was bite by a brown recluse when I was 16 years old. AWFUL experience. It bit me on my ear on the Tagus. When the lumps near that part of my ear started, a month after oil pulling, I thought I was getting an infection and then the craziest thing happened, the scar started to ooze a yellow stuff. It hurt and after 3 days it stopped and the lumps were gone. I am not sure if 24 years later I finally got all the toxins out of me from the bite but my husband and I are convinced that it was the oil pulling. Wow, Kimberly! Thank you for sharing your story! Very exciting! Hi, question for you. I know coconut oil is the “best” to pull with…but I’ll admit, I just can’t stand coconut. I get sick anytime I have even the smallest bit. Can I use something else like Almond oil? I have wanted to try this…but I did it once with the coconut oil and unfortunately lost anything that was in my stomach… 🙁 Thoughts? Hi Kelsey! Yes, almond oil would be wonderful! Another great one many people use is sesame oil. Every time I see instructions on Oil Pulling they always say to pull first thing, before eating or drinking. I have a thyroid medication that I take by doctors instructions of “before feet hit the ground”, so literally while I am still in bed. This is due to the nature of thyroid medications and needing to way 30-45 minutes after taking to be able to eat. Is there a significant decrease in health benefits if I take 1-2 sips of water to take my “happy pill” as I like to call it, before I pull? Not at all Melissa! Anytime you can fit in your day to oil pull will be very beneficial. Hi Ingrid, I just take the glob right out of the jar – it melts in my mouth in less than 20 seconds. Some people prefer melting it first. For me, I’m too impatient to bother with melting it when it will melt in my mouth 🙂 Whichever way you prefer is the right way for you! Can you just use Organic Coconut Oil or does it need to be the pure, unrefined, Cold pressed, extra virgin??? Organic coconut oil is great, Susan. The only thing I would suggest is to make sure it’s unrefined to get the most benefit. wow that’s great thanks for sharing 🙂 …. So cool, Rena! Coconut oil for allthethings!!! I started oil pulling 3 weeks ago and noticed my face is brighter and freckles are lighter. Also have chronic itchy skin and that has calmed down a lot, haven’t been using my steroid cream. I love hearing these stories! Thank you for sharing, Tina! So cool! Maybe I missed the directions for this but I am wondering if you just take a scoop of coconut oil in a solid form and put it in your mouth, or if you have to melt it a bit before you swish it around? In the pictures it appears you are taking a scoop right out of the jar. I just want to make sure I do it right for my first time! I’m reading this in the evening and was glad to hear that I could start right away and not wait until tomorrow morning to try it out. I’ve only just put the jar away after using the oil as a face cream. So, time to reopen and try it out. 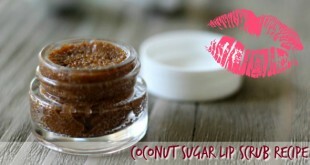 After oil pulling for just a short time I noticed any cancur sores on my lips or gums healed very quickly. It also works great for chapped lips! If I accidentally ram my toothbrush into my gums I immediately run on coconut oil. Any type of cold sore, or cancur sore disappears quickly with coconut oil. I just rub it on and leave it. Awesome! Thanks for sharing, Angela! Please all! When oil pulling is done – do NOT spit into sinks, toilets, bathtubs, etc. Harmful to your home’s plumbing (plumber’s daughter). Spit into a couple of paper towels, fold, and place in your food waste recycling bin. Rinse mouth and wash/rinse hands and you’re done! No messes, clogged plumbing and you’re being environmentally responsible. Thank you for the reminder, Lynn!! Thanks for your article. I really appreciated the links to the studies. I briefly heard about oil pulling from a co-worker of mine. I was curious about it but never looked into it. I saw this article on Pinterest and now I’m more intrigued than ever!! I was curious about the toothpaste part. It looks like you use a natural toothpaste after you swish with the coconut oil. Is it okay to use Crest or Colgate? Looking forward to your response and oil pulling!!!! Do you have to do this first thing in the morning, or would it have the same benefits at another time of the day? Any time of the day or night will work and be very effective! That might be because you ingest a little amount unintentionally while you oil pull or because it keeps touching and so gets absorbed in your mouth into your system. I am saying this because I don’t believe in oil pulling and that is because I know that they are saying that you must not wash or brush your teeth before starting and first thing in the morning of course all the toxin build up in our mouth all night would be gone into the oil instead of going down the drain with the toothpaste. This is my logic, obviously I don’t mean to be disrespectful. I appreciate your perspective, Semra. It’s very refreshing to see someone disagree so respectfully. Thank you for sharing! Hi Kelly ….thank you for sharing your oil pulling storey plus it is really amazing to read all the experiences of others……going to Costco now to get me some coconut oil! My brother has had issues with his teeth for several years. He has severe teeth sensitivity and tooth decay. Would this help him? Hi Whitney – it’s helped so many others with sensitivity and tooth decay. I think this could be a great benefit to your brother. I have been oil pulling with coconut oil for about a year and 3 months. I have had no illnesses through the past year, no sinus issues it has also cleared up my skin issues. No plaque or any other dental issues. I will continue using coconut oil pulling . I love reading this, Janet! Thank you for offering up your experience – ours are very similar! I love oil pulling and know that it works! I hadn’t been to the dentist in 6 years due to having no health insurance and being a college student. When I finally got a real job and had health insurance I went straight to the dentist. Although I had no cavities (bc I do floss and brush like I should) I found out I had gum disease and was so shocked.. I was then told about oil pulling by my mother in law. I decided to give it a try even though I was told I would never get rid of it. I went back to my dentist and they were so surprised to see that it was gone. Do you need to oil pull in the morning? I have a busy morning. Well like most. Your article popped up in my pinterest feed a while back, I had never ever heard of OPing, but the dental health aspect was intriguing. I got as far as buying the coconut oil and putting it on the shelf. Lol. Well, fast forward a month, maybe 2, and I’ve finally decided it’s time to go to the dentist after a 4 year hiatus. Panicked at what he’s going to discover (lol) I jumped into oil pulling 5 days ago. Full tbsp, full 20 minutes. No time to waste lol Doing OPing such a short time, I haven’t expected many results but I am pleasantly surprised at how my teeth have brightened and my gums seem healthier. I’ve had terrible sensitivity around a crown for years, solved by wearing a mouth guard when I sleep…however wearing the guard flairs up the tmj in my jaw on the other side. It’s a balance! I have noticed a decrease in the sensitivity around the crown without a mouth guard and the tmj hasn’t been flaring up either. I can honestly say, I’m convinced. My appointment is tomorrow, I know it won’t be great but I’m betting it will be better than it would have been! Looking forward to seeing what my results will be a year from now!! Thank you for the article. I am also very impressed at your willingness to respond in your comment section. The next thing on my list is to try your ACV drink. Cheers!! Read about this….my daughter did it…..a friend did it…. I am doing it right now as I write…20 minutes is long…but I’m determined to try it for a week. Will report back with my impressions. I decided at night was best time for me….that’s ok right? I hope you experience some great results, Jany! Take care! Can you get the same benifits if you do this right before you go to bed so your mouth is clean all night? Would you get equivalent results or would it just not be as beneficial as doing it in the morning? Nighttime, right before bed, is also one of the best times to oil pull, Chris! Am I the only guy on here who’s done this oil pulling? lol..It is ok I’ve been doing this for a while just not consistent, as I have a fitness business. I definitely think it works well and I eat a tablespoon in morning before I pull and another before bed. Great for energy and body fat loss, add to a shake for many valuable reasons. That is so sweet of you to say, Randal – thank you! Good luck with your oil pulling routine! Hi!! I loved your article. I also read all of the comments and feel compelled to share my most mind-blowing oil pulling experience with you: in 2014 I was having major tooth pain and didn’t have dental insurance. after doing some quick research I found oil pulling and began immediately. I pulled morning and evening every day and after just a few days the pain was gone. 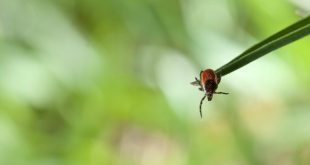 I continued to oil pull for about another week and then became lazy (since, in my mind, my problem was solved – I no longer “needed” to pull as often) the next thing I knew, I began breaking out into a rash very randomly throughout the day on random areas of my body- mainly my arms and legs. Little bumps would appear and then the area would become red and painfully itchy. I stopped pulling completely, went to the doctor, and came home with 3 different pills and two creams. None worked. I went back to the doctor. They put me on a two week series of steroids. Still, no change. The *only* thing I had been doing differently around the time that the bumps began was oil pulling. I told my doctor this but he didn’t seem to find it noteworthy. So I took to Google to see if the oil pulling could have started it. Sure enough, there was a term for what I was experiencing: “healing crisis”. Everything I read said that once you start you shouldn’t stop right away, especially if you start having symptoms like migraines or rashes. 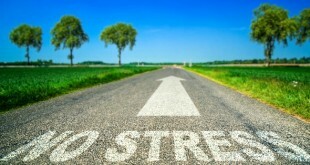 It’s your body’s way of healing as the toxins are released and if you stop during a healing crisis your body can effectively become stuck in crisis mode. Within minutes, I was oil pulling again. After just two days of oil pulling the rashes that I’d had for over 3 weeks by that point had completely subsided. I pulled through the crisis! 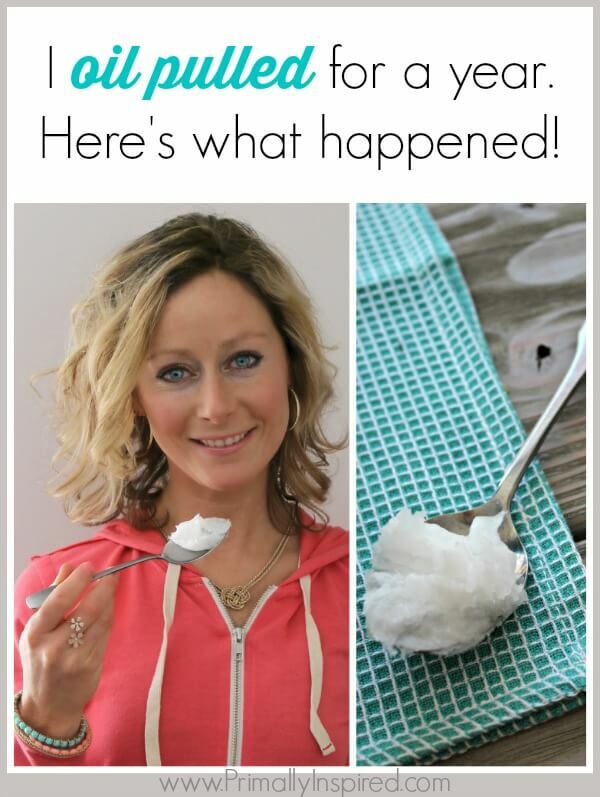 It was MIRACULOUS and solidified my faith in oil pulling. I did eventually give it up, once the healing crisis ended, but as I begin my exploration of Ayurvedic dieting I’ve come full circle and I’m being pulled back towards pulling 🙂 it’s pretty rad stuff! Oh Becky, I’m so glad you shared this with me and everyone reading! Thank you! That is such an awesome success story!!! Even after these years, I continue to be amazed at oil pulling. In fact, just last weekend I was visiting my sister and she told me she was having a lot of pain on the left inside of her mouth. She was going to call the dentist first thing on Monday. I told her she may want to try oil pulling to see if it could help her in the meantime. She oil pulled twice a day for the remainder of the weekend and the pain was gone…woohoo! Many blessings to you, Nene! I had oil pulled for detoxes before but not on an indefinite basis until I started experiencing severe tooth sensitivity. To the point it was hard to brush my teeth. The dental hygienist said I had all enamel gone on my teeth. I don’t know how true that is, how would I have pulled that off? But I began researching remineralizing teeth and one thing that came up was oil pulling, so I started for real every day. Within about three days I was able to brush teeth without an issue and I have been sensitivity free. And it is true that the hygienist can hardly find any plaque on my twice a year visits. I never had much to begin with but it seems even more diminished now. So cool, Cendrine! Thank you for sharing! Hi this is Tehreem. I hope you’re doing good. I have been dealing with dental problems such as tooth decay and stuff and sadly im just 20 and cant exactly afford going to the dentist any time soon. I came across oil pulling and found your blog and im amazed so many people have such positive things to say about it. So i started doing it and have been doing it now for 2-3 months. Surprisingly my gums stopped bleeding and idk maybe it is somewhat working i see plaque reducing as well and i dont feel any pain in my teeth anymore. But my tooth decay is still there i mean i’ve seen it reduce as well. But its not completely gone or healed completely. I’ve seen so many people reversing their cavities and such through oil pulling. So im really hoping this could work for me as well. I’ve been using the parachute 100% pure coconut oil for this purpose. Is that good enough? Because i cant find virgin or unrefined coconut oil in my area. Im still looking for it. But for now is parachute a good choice? Hi Tehreem, yes, the parachute coconut oil is perfect for oil pulling. As with most natural remedies, it takes time to see results…I think seeing an improvement in 2-3 months is great! A *very general* rule of thumb is that for every year you’ve had a condition, it would take a month of consistent natural or holistic remedy work to see an improvement. So for example, if you’ve had tooth decay for 6 years, it would *generally* take about 6 months of consistent oil pulling to see a significant change.